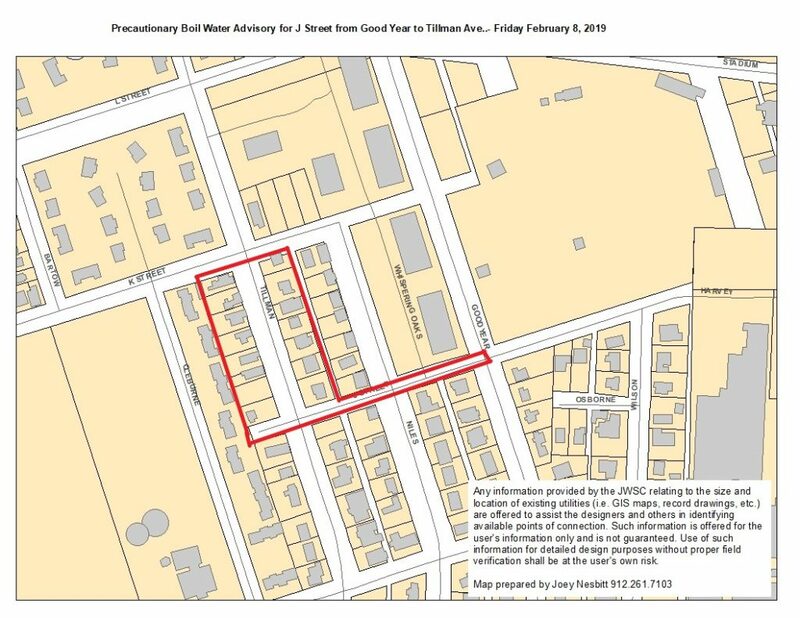 The Brunswick water system lost pressure to resident on J Street on Thursday, February 7, 2019 from Good Year to Tillman Avenue, including the 2000 block of Tillman due to scheduled maintenance needed to add tie ins to the main water system. The work has been finished, now BGJWSC lab personnel will collect water samples for testing. This testing, which will take between 18 and 24 hours, should be completed the afternoon of Friday, February 8, 2019, at which time an all-clear message will be posted. This entry was posted in Boil Water Advisory on February 7, 2019 by Joey Nesbitt.